It’s GAMEDAY! The Tar Heels kick off competition this morning at the 2019 ACC Championships in Chestnut Hill, Mass. 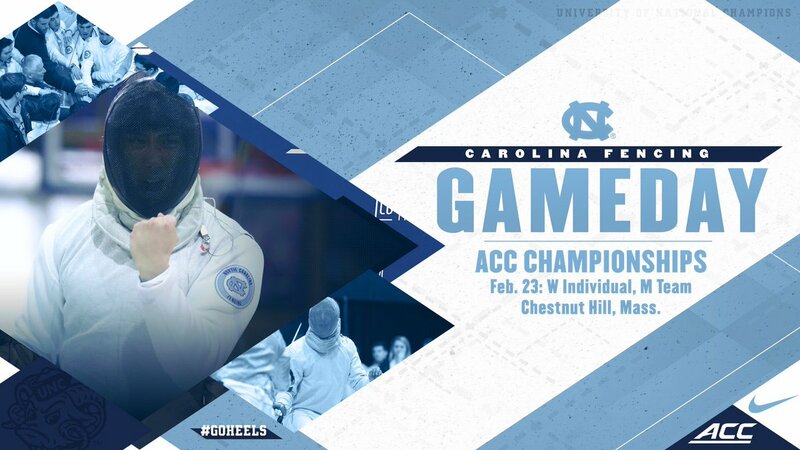 [ UNC Fencing ] Tar Heels Set For ACC Fencing Championships https://goheels.com/news/2019/2/22/tar-heels-set-for-acc-fencing-championships.aspx?fbclid=IwAR3D08IN_1Con1m8jXMz2Ay7J6u9R4nz_HAbK8nR3CpyE0sly2tpxwDYXMQ …	[ UNC Fencing ] Jackie Litynski is ranked 3rd out of pools and will now be competing in the semi-finals.